The month of April holds much deliciousness at the renowned The Emperor Chinese Restaurant at Dorsett Grand Subang. Diners are in for a special Mix ‘N’ Match treat of mouth-watering Szechuan and other Chinese dishes from the kitchen of Chef Bryan Teh. 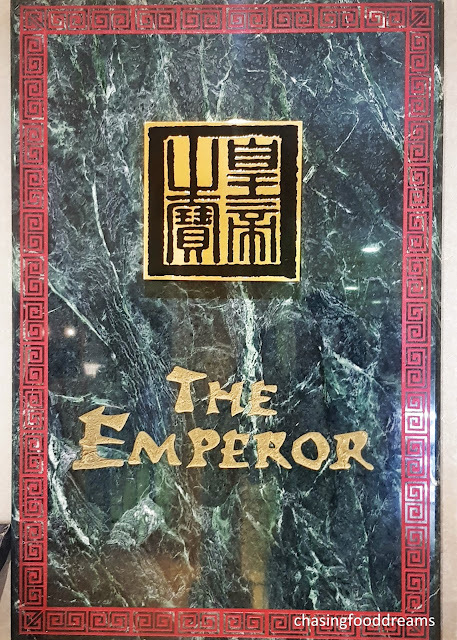 An elegant ambiance showcasing Oriental theme, The Emperor is a popular hotspot for fine Cantonese cuisine along with Dim Sum and more. Private rooms are available in addition to the spacious main dining area. 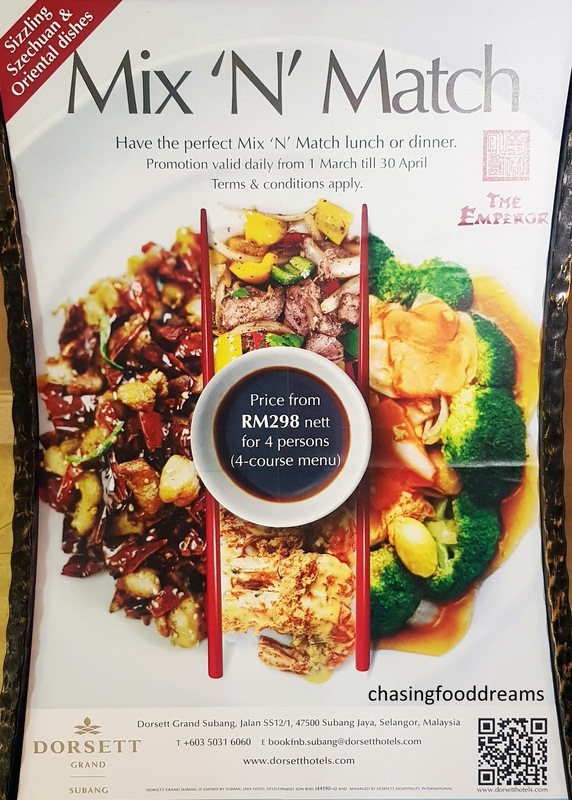 The Mix ‘N’ Match promotion is available till 30 April for lunch and dinner at the elegant restaurant. With set menu of your choice of selected dishes depending on the number of diners, starting from 4 up to 8 pax, the value-for-money menu even includes free Soup of the Day and Dessert. Price starting from RM298 nett to RM698 nett. Our soup of the day for the preview was a soothing classic Lotus Root and Chicken Soup. Chockful of lotus root chunk, the soup was a bowl of comfort flavours with every spoonful. Chef Bryan may not have started out in Szechuan cuisine but has certainly mastered the cuisine well. His version of the ‘Sui Chu Yue’ or Poached Fish Fillet with Dried Chilli & Szechuan Herb Chilli Oil is fiery at sight and moreish in flavours. The distinctive ‘Ma La’ numbness was cleverly well-controlled, enough to leave that bit of tingling numbness and yet not overly powering till one cannot enjoy the heat and sublime notes of the aromatics. 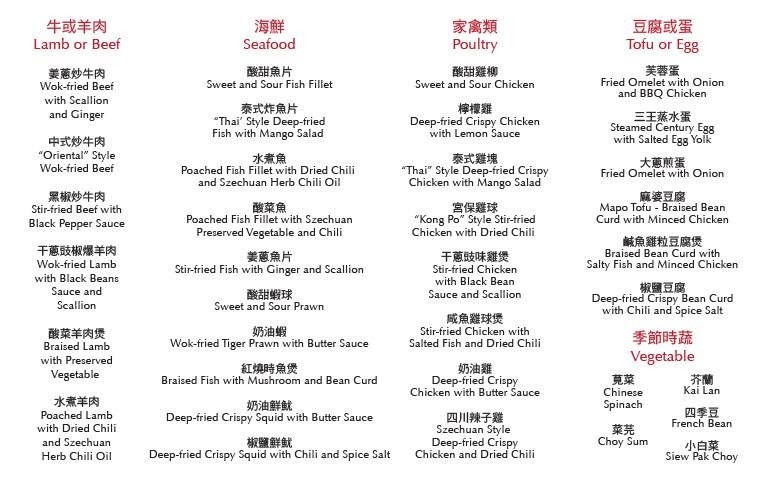 The thick fish fillets were gently cooked, enough to melt-in-the-mouth tenderness with a delicious note after soaking up all the chilies, bean sauce and other aromatics. The Sweet & Sour Chicken here is already a show stopper at sight. Beautiful in hues of orangey redness, large pieces of crispy boneless chicken is coated in the classic sweet and sour sauce along with pieces of bell pepper and pineapple. A timeless dish that never fails to please the palate when cooked well. More comfort flavours took form in a claypot of Braised Lamb with Preserved Vegetable. Tender lamb slices well-braised in the piquant ‘Suen Choi’ with lots of garlic, ginger and bits of chili. The dish had that bitey tangy notes of the preserved vegetables goes well with the lamb slices. ‘Fu Yong’ Egg or Fried Omelette with Onion & Barbecued Chicken is sufficiently satisfying, a dish that appears on the table of many homes when one has bits of veggies along with some char siew nicely enveloped in fluffy egg omelette. 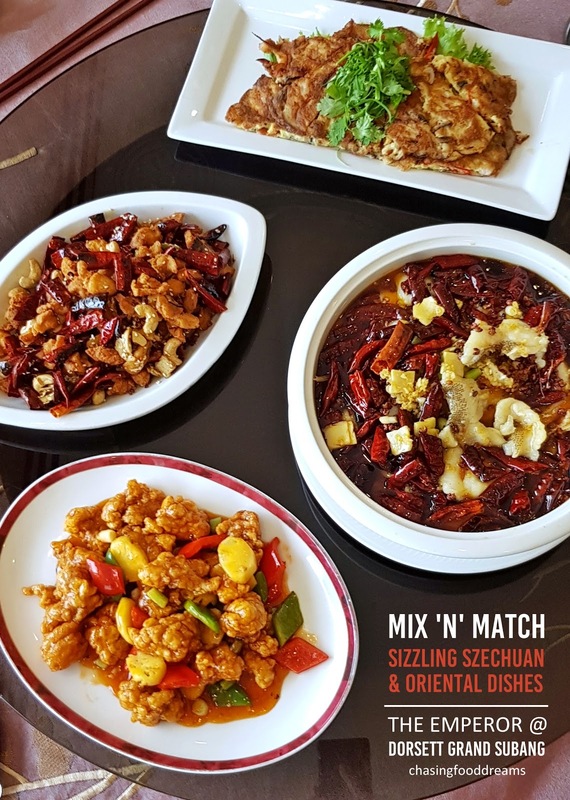 The dish of Deep-fried Crispy Beancurd with Chilli & Spiced Salt may appear simple but is always a crowd favorite of diners of all ages. 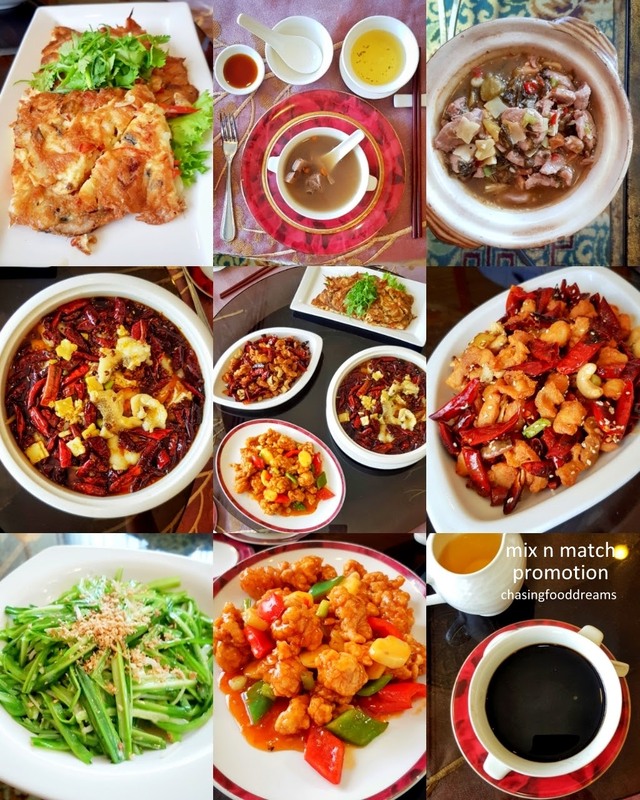 While one can select your choice of greens such as Chinese Spinach, Kai Lan, Choy Sum, French Beans or Siew Pak Choy from the Mix ‘N’ Match menu, we opted with ala carte dish of Green Dragon Chives with Beansprout as addition to the meal. 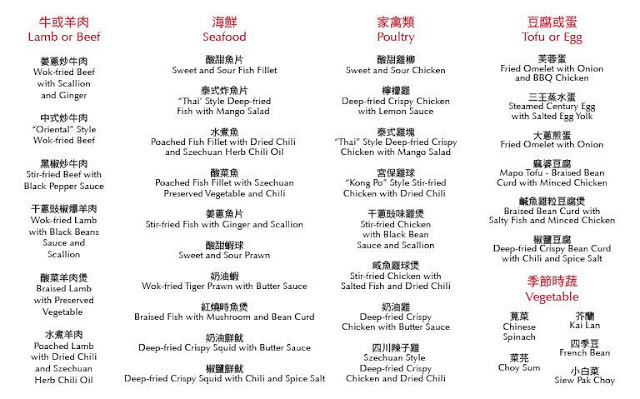 As mentioned above, the menu comes with a free Dessert of your choice. 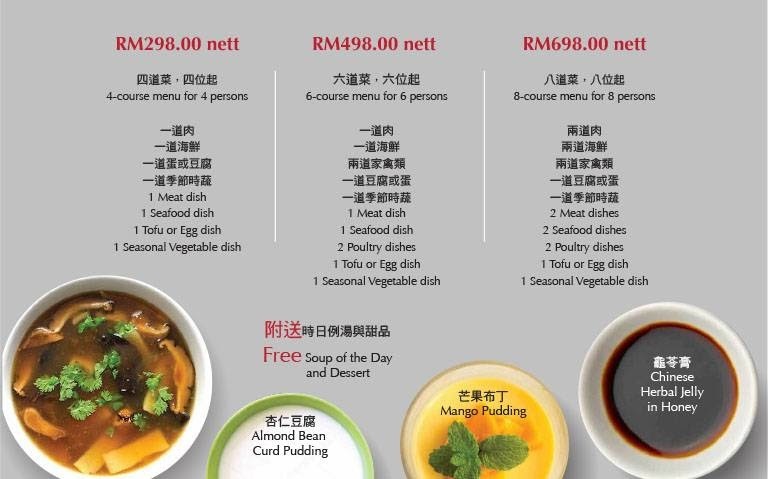 Simply select from the choices of Herbal Jelly with Honey, Mango Pudding or Almond Beancurd Pudding for that lovely sweet ending to the meal. Go for the Herbal Jelly or ‘Kwai Lin Guo’ like we did for some nutritious benefits.